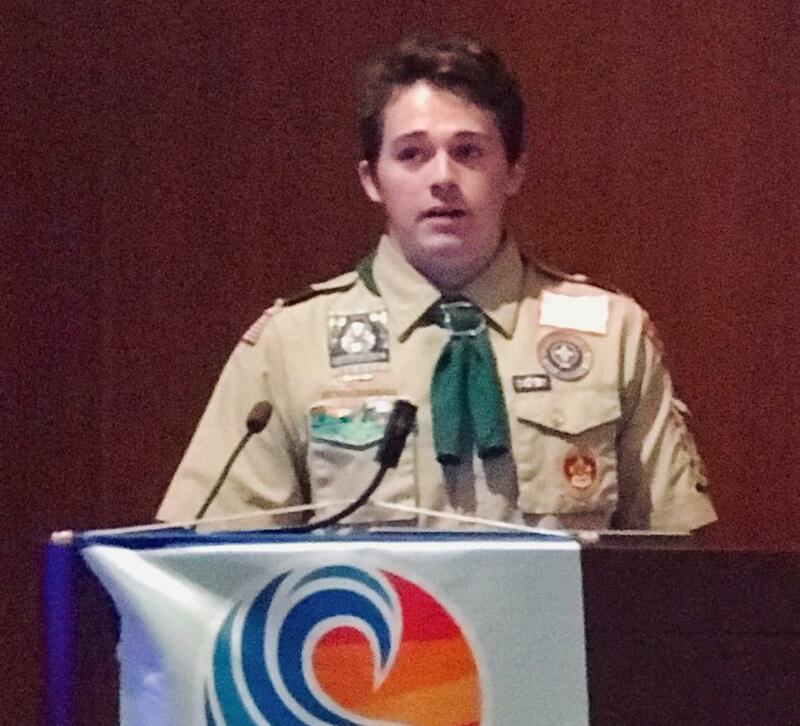 Eagle Scout candidate Padraic Richardson is supporting the BraveEli.com foundation's efforts to fund leukemia research by building collection boxes for their use. The BraveEli foundation was created by a student, Eli, Paddy knows who has leukemia. The foundation has been using coffee cans as collection points since its founding. This works but has issues, most importantly theft of the donations. Therefore Paddy designed two different size collection boxes to support collecting in the different environments used by the foundation. The large box, measuring 27 X 16 X 16, is a freestanding box that sits on a table for use at events. The small box, 6 X 6 X 6, is for use in retail and similar environments. The advantage of both designs is the money cannot be reached once deposited into the collection slot. Therefore theft will be reduced greatly. Presidnet Tammy Duering awarded Paddy $200 for his project from the President's discretionary account in our Foundation.